Central Mississippi Riverfront Regional Park	The name says it all - its centralized location along the Mississippi include parks, trails and historical sites. The land that had ceased to be an island decades earlier due to a build-up of silt and sawdust was purchased by the park board with funds from the state legislature through the Metropolitan Council in 1982. The land was purchased from a construction company for $2.6 million. The land had been targeted for acquisition in the 1978 plan for the development of the central riverfront as a park by the Riverfront Development Coordinating Board (RDCB), which was chaired by park commissioner Ole Olson. The RCDB considered plans to convert the land to an island once again, but decided against it due to the cost. In 1988 the paddle boat Anson Northrup began using the docks at Boom Island Park to board passengers for river cruises. That boat has since been replaced by the Mississippi Queen, which continues to offer cruise service from the park. 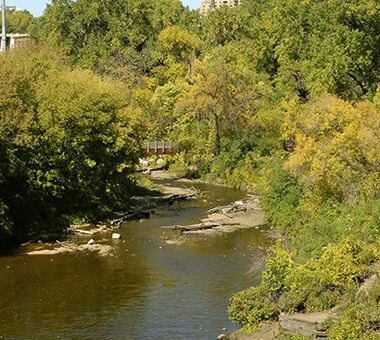 Name: The park was named for Father Louis Hennepin, a Franciscan priest who was the first European to view St. Anthony Falls from the site of the park in 1680. Hennepin named the falls for his patron saint, St. Anthony of Padua. Hennepin was also the first European to make a record of viewing Niagara Falls. A portion of the park is officially known as Phillip W. Pillsbury Park. The Pillsbury Company donated 2.4 acres of land to enlarge the park in 1981. The Pillsbury family, founders of the milling company, had been linked with Minneapolis parks from the earliest days of the park board. George Pillsbury was one of the Minneapolis businessmen who had been instrumental in pushing the Minneapolis Board of Trade to draft legislation for presentation to the state legislature to create the Minneapolis Board of Park Commissioners in 1883. His brother John Pillsbury, a former governor of Minnesota, was one of the first twelve park commissioners appointed by the legislation. It was John Pillsbury who proposed to the new park board that it hire landscape architect Horace Cleveland to create a plan for the fledgling park system. The result was Cleveland’s “Suggestions for a System of Parks and Parkways for the City of Minneapolis,” presented to the park board in June 1883. John Pillsbury’s son, Alfred, also became a park commissioner and was president of the park board in the 1930s. The initial land for the park was acquired by the park board in 1977. 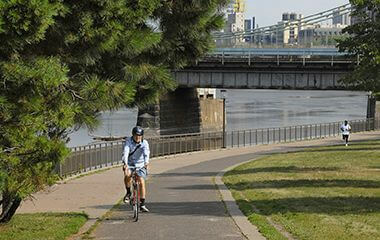 It was the first park land to be acquired for what would become Central Riverfront Regional Park. The land was acquired for about $800,000 with funds provided by the state legislature through the Metropolitan Council. The land had been part of the initial, and least controversial, part of the plan for the central riverfront created by the Riverfront Development Coordinating Board (RDCB), a joint effort of the park board, city council and the Minneapolis housing authority, chaired by park commissioner Ole Olson. The RDCB envisioned the bluff left in its natural state with trails down to and along the river. The RDCB’s plan also included Hennepin Island and the east channel of the river, but those parts of the plan have never been completely implemented. The plan for the area was intended to evoke images of Huck Finn. The bluff park was initially developed and opened in 1979. It was designed by famous landscape architect Hideo Sasaki. In 1981 the park was augmented by a donation of 2.4 aces of land from the Pillsbury Company in honor of Phillip W. Pillsbury. 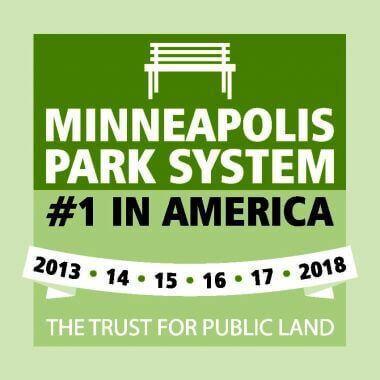 Another half-acre of land on the bluff, Lucy Wilder Morris Park, was officially added to the park when title to the land was turned over to the park board by the Hennepin County Historical Society in 1989. The park board had been maintaining Lucy Wilder Morris Park, however, since 1931 under an agreement with and funding from the Daughters of American Colonists. The finishing touch to the park, which gave it its present appeal, was the agreement to convert the Stone Arch Bridge to a pedestrian and bicycle path in 1993. The bridge connects the eastern edge of the park with the west bank of the river and Mill Ruins Park. Proposals to convert the east channel of the river between Father Hennepin Bluff Park and Hennepin Island into a whitewater park have been under consideration for years. The sticking point has always been the source of funding for that development. In 2011 the stairs from Main Street down to Hennepin Island and the river were repaired. Name: The name for the park was chosen because it is the site of the first bridge across the Mississippi River—anywhere. The first suspension bridge on the site was built by Franklin Steele in 1855. The land for First Bridge Park was acquired in 1985 from the real estate subsidiary of Burlington Northern Railroad, which owned much of the land along the river downtown. The company donated 22 acres of riverfront to the city in part in return for changes in zoning that enabled the company to develop other land holdings in the area for commercial and residential purposes. A condition of the donation was that the park board construct a park and parkway along the river from Plymouth Avenue to Portland Avenue by 1987. That parkway was completed in 1987 and later named James I. Rice Parkway. The impetus for the creation of First Bridge Park, which features the excavated footings of the three earliest bridges on the site, was the construction of a new Federal Reserve Bank on the site of the former railroad depot adjacent to James Rice Parkway. The park was completed in 2001. Along with Mill Ruins Park, First Bridge Park represents an effort to preserve and illustrate the history of Minneapolis. The planks in the parkway were replaced by concrete in 2010 due to deterioration of the planks and their noisy condition. The ground work for preservation of the area was laid in 1971 when the land around the falls was placed on the National Park Service’s list of National Historic Districts. The impetus to develop the central riverfront, including Nicollet Island, came from a 1972 report entitled Mississippi/Minneapolis produced by city manager Tommy Thompson. In the wake of that report, which proposed redevelopment of the former industrial and railroad land of the riverfront, the park board, city council and the city housing authority created a Riverfront Development Coordinating Board (RDCB) in 1976 chaired by park commissioner Ole Olson. The RCDB’s primary objective was to create a development plan that could be submitted to the Metropolitan Council for funding through the state legislature. The RCDB produced a final report in 1978 that included specific recommendations for the development of a central riverfront park. In 2008 the park board approved the construction of a football field on park land adjacent to De La Salle High School. The field was built by the high school to serve the school and northeast Minneapolis. Name: The name is descriptive of the structure and has been used since the bridge was built in 1883. The bridge is owned by the Minnesota Department of Transportation, but the deck of the bridge is maintained by the park board. The bridge was built in 1883 by James J. Hill’s Great Northern Railroad. It carried two tracks into downtown Minneapolis and at its peak brought 80 passenger trains a day into Union Station. 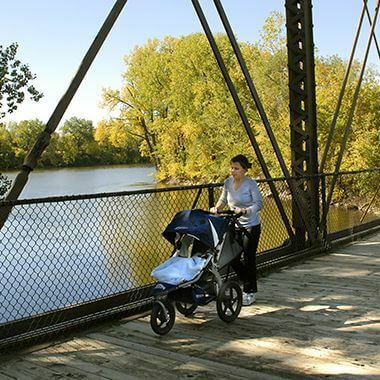 The bridge was completed only five months after Minneapolis voters approved an act by the Minnesota legislature to create the Minneapolis Board of Park Commissioners, the original name of what today is the Minneapolis Park and Recreation Board. The bridge, however, played an important role in the creation of the park board. The Minneapolis Board of Trade, an organization that functioned like a chamber of commerce for the city, was convened in January 1883 after a couple years of inactivity specifically to coordinate an effort to convince Hill’s railroad to participate in a Union Station in downtown Minneapolis. The bridge was under construction at the time. Shortly after the Board of Trade was reconvened, however, its members turned their attention to creating a park board for the city. The Board of Trade drafted the legislation to create a park board and, under the leadership of William King, convinced the legislature to pass the bill. Opponents of the measure attached a provision to the legislation that required approval by Minneapolis voters before it could take effect. King also headed the campaign to get voters to vote “Yes” on the Park Act, which they did in April 1883. With the demise of the railroads as passenger carriers in the 1970s, Burlington Northern no longer needed a bridge into the city. In 1980 the railroad offered to sell the bridge to the city for $1, but concerns over the cost of maintenance of the structure caused the city to reject the offer. In 1989, however, the railroad found a taker for the bridge: Hennepin County. County commissioners saw the potential value of the bridge for a future light-rail transit system. The county bought the bridge for $1,001. The ownership of the bridge transferred to the state in 1993. Minneapolis legislators James Rice and John Sarna insisted that the state take control of the bridge when the state assumed control of light-rail development in the city. Rice and Sarna were influential proponents of park developments along the central riverfront. 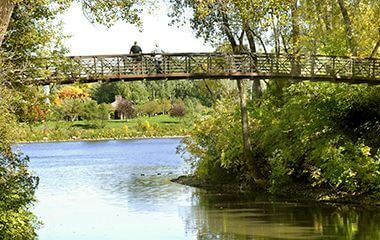 With the help of a $2 million federal grant for the reuse of historic transportation structures, the state and the park board worked out an agreement to convert the bridge to a pedestrian and bicycle path which would link Father Hennepin Bluff Park on the east bank of the river with West River Parkway. Informational displays on the history of the bridge, the river and St Anthony Falls were developed by the St Anthony Falls Heritage Board. Stop off the trails to take a breather at this serene overlook where Bassett's Creek and the Mississippi River meet. Located off Historic Main Street, Nicollet Island Park has a promenade overlooking the first dam on the Mississippi, built in 1858, and features the elegant Nicollet Island Pavilion. 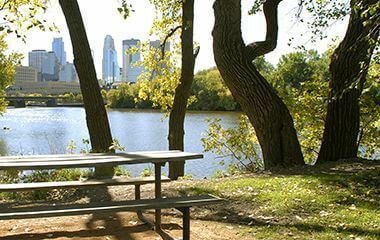 With stunning views of the Minneapolis skyline, Boom Island Park offers a picturesque site for weddings and picnics. Walk right up to the railing to catch a view of Nicollet Island and the Hennepin Avenue Bridge. Father Hennepin Bluff Park offers direct access to footpaths and bridges that display a unique view of the Mississippi Gorge, the Downtown skyline, and the Stone Arch Bridge. 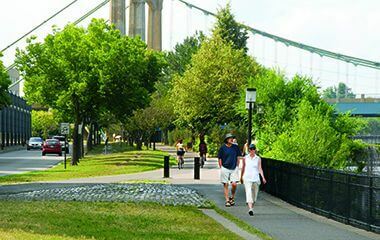 Enjoy 1.98 miles of pedestrian and bike trails along the West bank of the Mississippi River throughout this Regional Park. 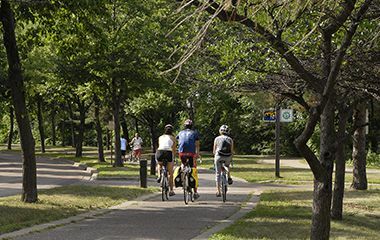 As the centerpiece of Minneapolis' historic West Side Milling District, Mill Ruins Park combines an exploration of the history of Minneapolis with present day activities for all ages.